LG's new offering is certainly light on the pocket, but at what cost? LG hasn’t had the best track record when it comes to Android smartphones but all that changed the day they launched the G2. This was the first phone to roll out of LG’s assembly line which didn’t bear the Optimus moniker and that worked quite well in their favour. The latest addition to this new family is the G Pro Lite. Launched just a couple of months back; the G Pro Lite aims to deliver big-screen experience at an affordable price. The other defining feature that it borrows from its elder sibling is the promise of all-day battery life. LG has had to comprise quite a bit on the rest of the features however in order to price this in the sub-20K bracket so the real question is, did they get carried away in the process? The phone feels like a big chunk of plastic and like all 5-inch and above smartphones, is quite a handful. The glossy texture makes the G Pro Lite very slippery, even more so when you try using it single-handedly. 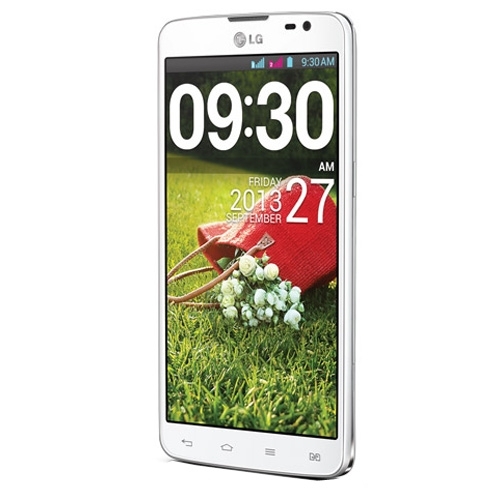 It has exactly the same dimensions as the Optimus G Pro, measuring 9.4mm in depth but is 10g lighter. Along the edges, we have some faux-chrome trimming which makes it stand out a bit from the crowd. Apart from the standard set of buttons, we also have quick-launch button which can be customised to open any app of your choosing. LG has also thoughtfully added an IR blaster on the top, not something we see often in this segment. The glossy back looks pretty bland and is prone to scratches. We just have an 8MP shooter and a single-LED flash on the top. LG also bundled a standard capacitive stylus which sits flush with the phone. There’s a fourth capacitive button for switching between SIMs. The back cover conceals the massive 3140mAh battery, two full-sized SIM slots and a microSD card slot. Overall, the G Pro Lite is well-built handset and is easy on the eyes. We’re not a big fan of the chrome accents but thankfully it doesn’t ruin the look of the phone. The stylus and IR blaster are added bonuses. This is an area where the compromises really begin to show. The 5.5-inch IPS display does a very good job under sunlight but sadly, it has a very low resolution of just 540 x 960 (qHD). This causes quite a bit of banding in wallpapers and jagged edges around icons and text. While the colours are fairly punchy, it’s nothing compared to LG’s more expensive True HD IPS Plus panels. There doesn’t seem to be any sort of protection for the panel either. However, the biggest crime of all is skimping on the ambient light sensor. 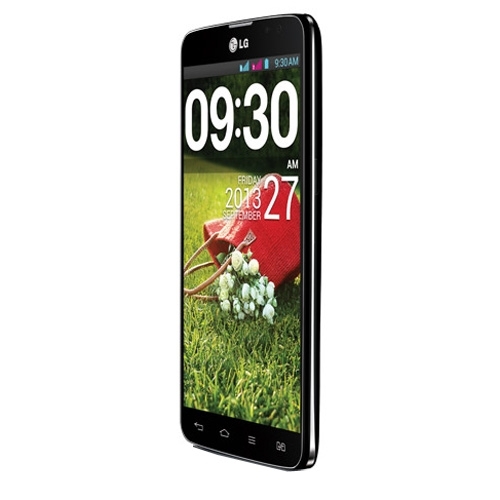 We’re not sure what possessed LG to leave this crucial component out of the G Pro Lite. Weirdly, the display is perfectly visible in daylight at the lowest brightness level as well. There’s also notification LED on the phone. 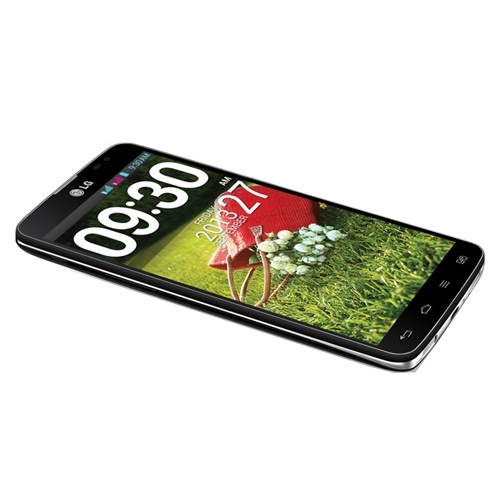 The Knock On feature is borrowed from the G2 but doesn't work all the time. Our second bit of disappointment is the processor used. We’re not upset that it’s a dual-core SoC but the fact that LG chose the MT6577 from MediaTek, is the real frustrating bit. Yes, this is the same chipset that made the Micromax Canvas a big hit when it launched more than a year back. Sadly, there are no additional extensions for video decoding so video playback is restricted to 720p. Despite this and Optimus UI, the interface is smooth with little lag in the animations. There are slight slowdowns when switching between apps and loading times but overall, it’s not too bad. The interface is exactly the same as other LG phones and we have QSlide apps, Quick Remote and whole mess of other apps from LG. The speakers are fairly loud and audio quality through the headphones is good, provided you have a good pair of IEMs. The music player offers a variety of options to sort your music, has support for plenty of codecs and there’s even equalizer presets to choose from. There’s 8GB of internal memory and one can further expand this by 32GB. The video player is pretty robust and we have support for DivX HD video format as well and MKV files are also supported. The video player can be used as a QSlide app as well, so you can browse the web and watch a video at the same time. The G Pro Lite supports quad-band 3G along with dual-standby. 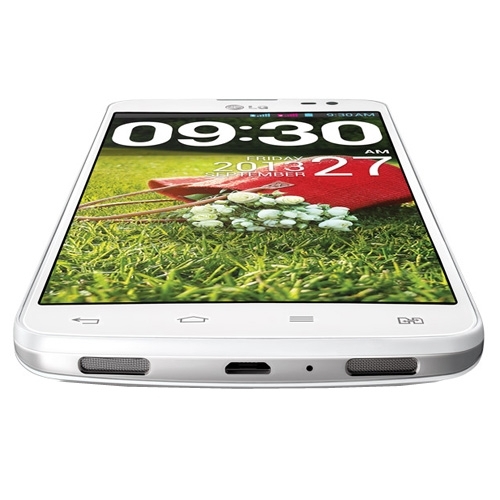 There’s also Wi-Fi ‘n’, Bluetooth v3.0, GPS and USB 2.0 for data transfer. NFC and GLONASS are missing. The larger display makes an ideal canvas for browsing the web or watching videos. The low-resolution does hamper reading text at the default resolution but that can be rectified by zooming in. Due to the large screen, LG has added the option for 'One-handed' operation. This works for the dial pad, LG keyboard and the lock screen. The QuickRemote app is pretty cool as well but for some reason, LG has dropped support for air-conditioners and other such devices with IR support, which is a bit puzzling. The 8MP snapper produces decent pictures but it takes forever to focus. This is an issue with the chipset more than the sensor as we faced this in most MT6577-based handsets. 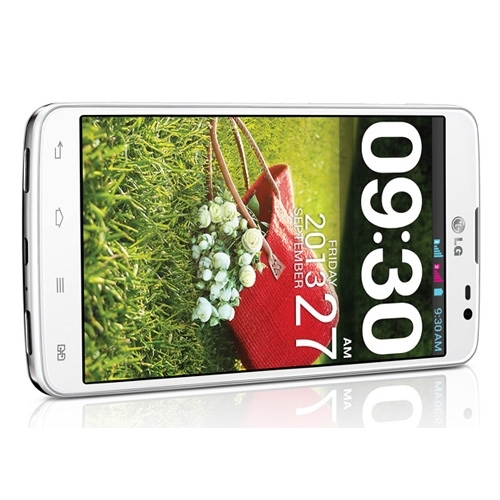 The interface is very similar to other LG handsets but the number of features has reduced. There’s only panorama, continuous shot, beauty shot, sport and night. Cheese shutter is still there however, which makes it easier to take selfies. Picture quality is good and is what we would expect from a 8MP camera. Video recording maxes out at 720p sadly. The massive battery pack easily breezed through our 8-hour loop test with 38-percent to spare. You can easily expect around two days of usage on 3G with the G Pro Lite. 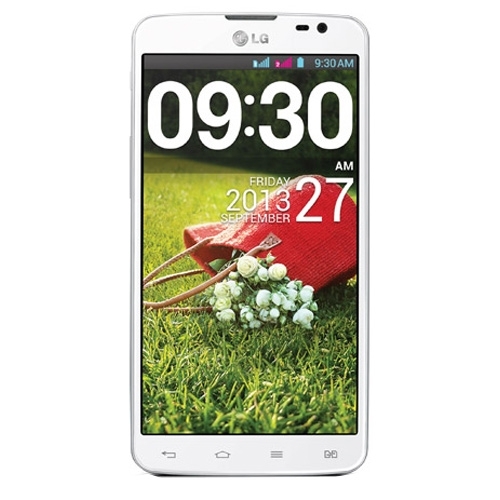 The LG G Pro Lite is priced at Rs 22,990, however you can find it online for under Rs 20,000. At this price, the Sony Xperia C or even the Samsung Galaxy Grand make a much better buy than the G Pro Lite. The reason for this is that LG went overboard with the reductions, leaving us with a very underpowered and dated handset. The phone only scores well in terms of battery life and decent camera performance but falls flat in practically every other department. There’s no ambient light sensor, very low resolution display considering panel size, no NFC or GLONASS, an out-dated processor, limited functionality with LG apps and the list goes on. We recommed giving this phone a pass even after a price drop as you’re better off with offerings from Sony and Samsung in this range. 13.97cm (5.5) Large & Clear IPS Display: G Pro Lite’s expansive 13.97cm (5.5) IPS Display delivers a bigger and more immersive picture with true-to-life colors and amazingly detailed images. Now everything you view can be seen with maximum clarity and lucid color for greater enjoyment right in your hand. 8MP BSI Camera: Capture your creativity with photos that perfectly express the moment. 8MP BSI (Backside Illuminated) Camera ensures brilliantly detailed imagery and enhanced sharpness even in low-light for priceless memories that can be caught anywhere, anytime. Long-Lasting 3,140 mAh Battery: Find the endurance and dependability you demand when you’re on-the-go. Be free to enjoy everything you desire longer without ever having to worry about your battery. Rich Sound with Dual Speaker: Hear sound just the way the creator intended with LG’s own Dual Sound Technology. By separating low and high pitch speakers, rich and powerful sound can be enjoyed anywhere without the use of headphones.